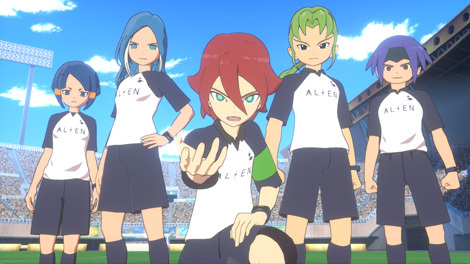 Today, the official website for Inazuma Eleven Ares was once again udpated, providing us with some more details and screenshots. 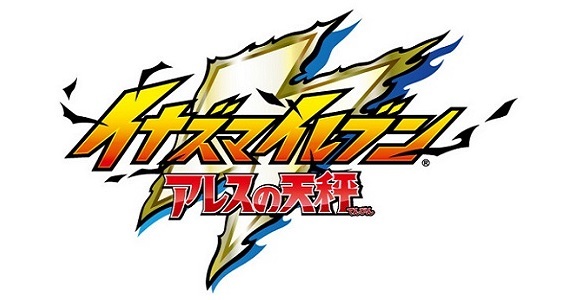 This time, the focus is on the anime story and Override techniques! 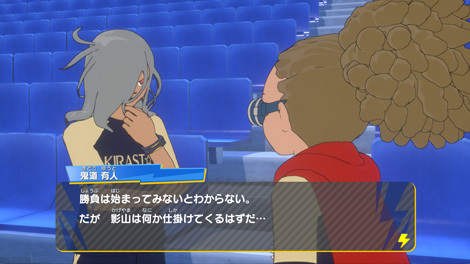 Kidou Yuuto and Haizaki Ryouhei: those two have come to watch the match of Inkuni Raimon against Teikoku Gakuen. 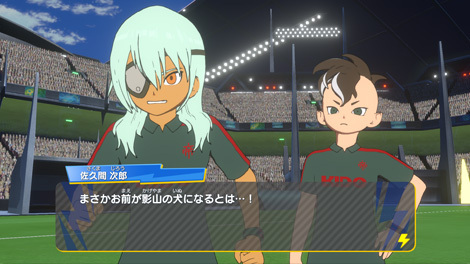 Kidou Yuuto tells Haizaki Ryouhei about the horror that is Kagayama, a coach he’s pretty familiar with. 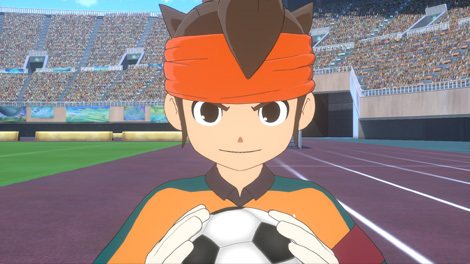 Endou Mamoru: the legenday goalkeeper. 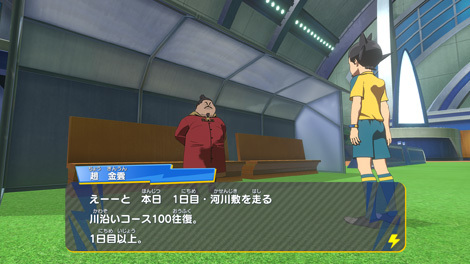 Yes, he does appear in this game, just like in the anime series! 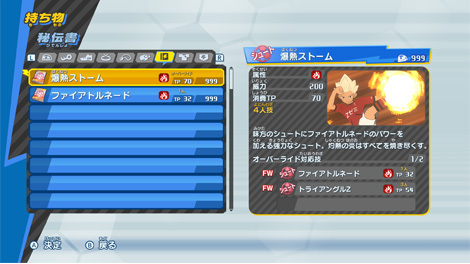 This time, Level-5 introduces a new gameplay element known as Override. If you fulfill the right conditions (such as having players learning specific skills/techniques), you can combine several Hissatsu techniques in order to create one powerful technique. 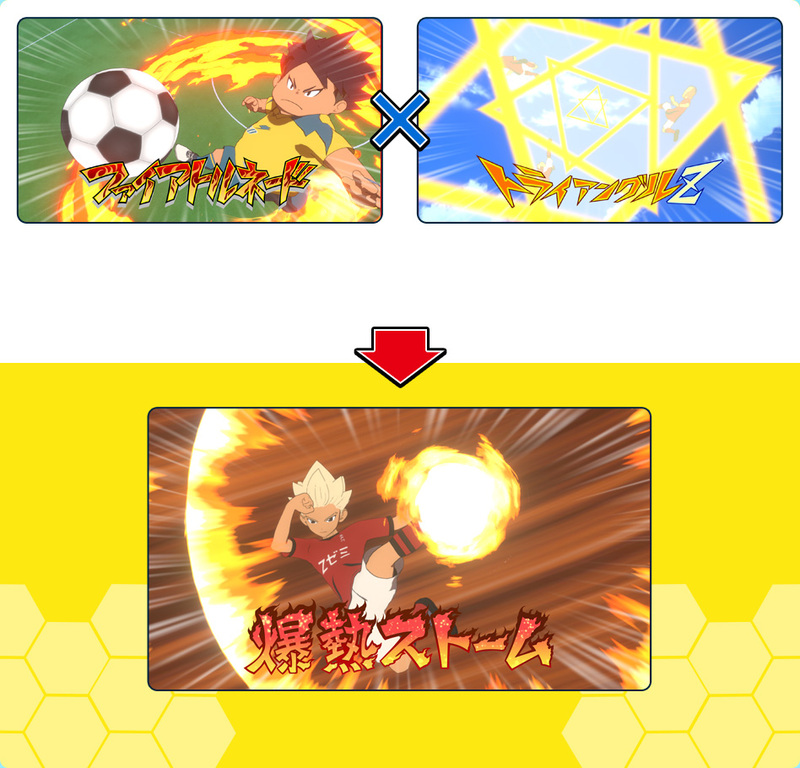 if you combine Fire Tornado and Triangle Z, you end up with Bakunetsu Storm (lit. Explosive Storm). 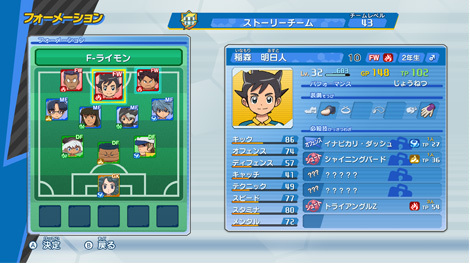 As you can imagine, there’s plenty of possible combinations!